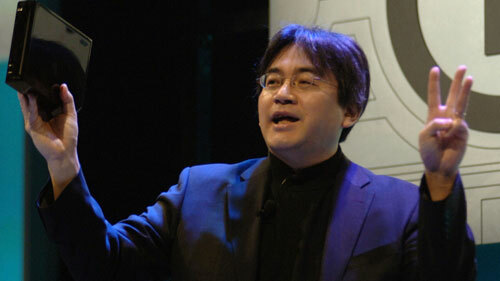 Iwata Teases Unannounced Wii Software Yet Again, What Fits the Bill? One of the most important things Iwata talked about at the recent investors’ meeting in Japan was the prospects for the Wii during the rest of its lifespan – specifically, that there are several still-unannounced Wii titles coming later this year: “Furthermore, an already announced new title from the Kirby franchise, Legend of Zelda: Skyward Sword and JUST DANCE 2, which will be localized by Nintendo for the Japanese market, and other new titles currently unannounced will be ready to be launched within this year.” He made a similar statement earlier in the year, and we’re no closer to figuring out quite what he meant than we were then. However, that doesn’t mean we can’t speculate, does it? Now, he didn’t exactly clarify whether these were going to be first-party or third-party ventures, although I think it’s safe to say that he’s referring mostly to software at least being published by Nintendo (Just Dance 2, for example, was developed by Ubisoft but is being localized by Nintendo for the Japanese market). However, for the sake of good clean fun, let’s focus mostly on what might come out of Nintendo’s own development studios. This game has apparently been in development for a long time. Early on it was reported to be on the way for Wii, but recently we’ve seen some hints that maybe it’ll be coming to 3DS instead. Miyamoto stated last year that he wanted to announce it at E3 2010, but felt that it was time for other titles like Skyward Sword to shine. 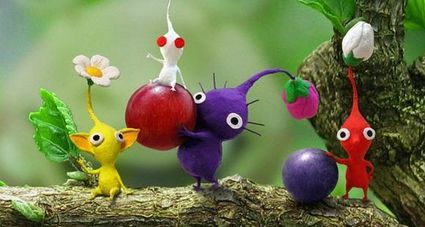 Whether this means that Miyamoto thinks Pikmin 3 is the best thing since sliced bread or that it wasn’t worth showing compared to Zelda is beyond me, but if Pikmin‘s really on the way for Wii and other software was getting in the way before, the current drought would be a perfect time to finally introduce it. While this is actually one of my wet dreams, too, somehow I just don’t find it particularly likely. Star Fox seems like a franchise that Nintendo would want to push hard on their HD console, so putting all that time and effort into a game for a system that’s about to head out the door… suffice to say I’m not entirely convinced. At least we know Skyward Sword has been on the table for years – we don’t have the same knowledge with regards to Star Fox. Still, it’s possible, right? Really, given the massive success of pretty much every Super Mario Bros. game in existence, it’s surprising that Nintendo hasn’t been cranking out several of these every generation. 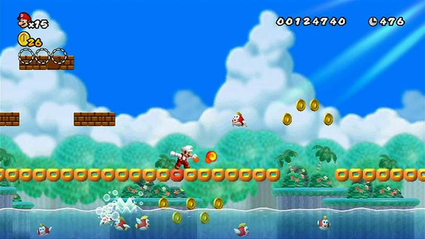 Now that they’ve seen what a new Super Mario Bros. title can do on Wii, could they possibly have finally seen the light and decided to give the age-old franchise more of a spotlight? I want to respond with a resounding “YES!” but part of me just can’t muster up that much faith in Nintendo to take the obvious course. This is probably because they tend to do exactly the opposite – often with excellent results – but when it comes to something like continuing their most popular and enduring series ever I just can’t ignore their lack of support over the last few generations. Maybe it’ll happen, just maybe, but I think they’re more likely to want to headline Project Café with a Mario Bros. game than to give their hungry Wii fans another taste, especially with a Super Mario title already on the way for 3DS this year. With the summer lineup pretty much confirmed for Japan, it’s unlikely we’ll see too many surprises turn up before this year’s E3. Luckily, the conference is less than two months away, so we should be hearing something soon. Stay tuned for news on Nintendo announcements and release dates in the coming weeks, and stick around for our E3 coverage in early June!